Mediation Works! 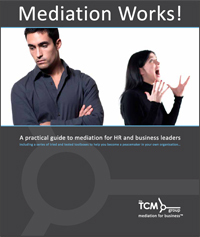 A practical guide to mediation for HR & business leaders. To download the new edition of this free whitepaper, please compete this registration form. Are you considering setting up an internal mediation scheme? We need to foster a culture of conversation not confrontation….